Can you imagine home in the middle of a Colorado winter without hot water? Wow…and it wasn’t all that long ago that hot water wasn’t even an option. We definitely have it good nowadays. Sherrelwood Services services and installs water heaters for any size household. 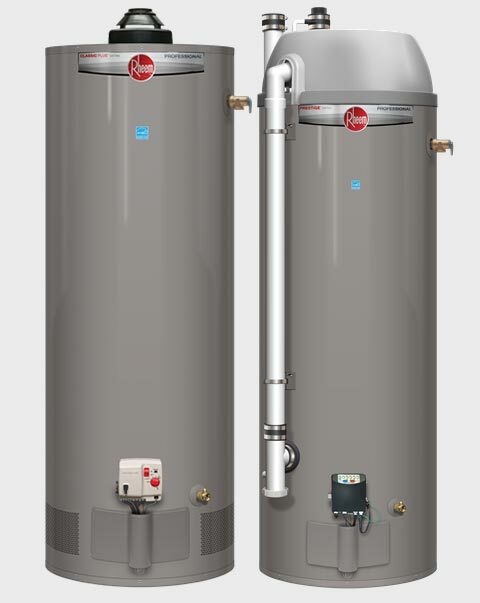 The Rheem ProfessionalTM Line is a complete range hot water solutions with exclusive features and professional grade quality. These products are available exclusively through our contractor partners. If you need service, or a new hot water solution for your home, simply give us a call at (303) 444-7542 or request an estimate online. Thanks for your interest in Sherrelwood Services!